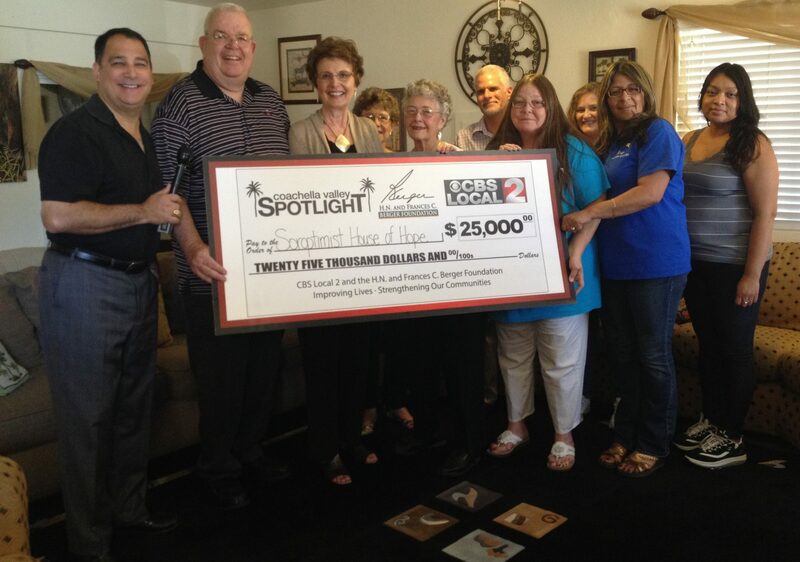 March 10, 2014, Soroptmist House of Hope is being featured as the CV Spotlight Grant recipient for the month of March. CBS Local 2 and the H.N. and Frances C. Berger Foundation present the Coachella Valley Spotlight, a celebration of the good work of the community’s many charitable organizations that are providing services to local residents. For more information click on the link below to download and view the CV Spotlight Grant Press Release.